Copyright © 2011-19 by Don Ferguson. You may copy this information and make derivative works as long as you credit www.fergusontree.com for the original materials. [S1127] Email - Christine McLean, email from Christine McLean to D Ferguson, 11 Sep 2017, whose gt-aunt was Christina McLAREN. [S421] Presbyterian Church Archives of NZ, at http://www.archives.presbyterian.org.nz/, gives age at marriage as 31. [S443] CD - NZ Marriages, CD - NZ Marriages 1836-1956 V2, NZ Registrar General's Folio 6158. [S542] Index - New Zealand BDMs online, at http://www.bdmhistoricalrecords.dia.govt.nz/, Marriage Reg. No. 1902/6020. [S542] Index - New Zealand BDMs online, at http://www.bdmhistoricalrecords.dia.govt.nz/, Death Reg. No. 1931/6488, aged 59. [S542] Index - New Zealand BDMs online, at http://www.bdmhistoricalrecords.dia.govt.nz/, Death Reg. No. 1949/27251, aged 78. [S488] Index - Queensland BDMs (online and fiche), at https://www.qld.gov.au/law/…, Marriage Reg. No. 1921/B28601, p2515. [S753] Australian BDM Indexes 1788-1950, at http://www.ancestry.com/, Queensland, 1930/B9676, p1717. [S284] Index - New South Wales BDMs online, at http://www.bdm.nsw.gov.au, Birth Reg. No. 37211/1911. [S178] Census - 5 Apr 1891, UK census, Scottish GRO 564/01 044/00 005. [S430] Census - 31 Mar 1901, UK census, Scottish GRO 564/01 049/00 007. [S687] Census - 2 Apr 1911, UK census, Scottish GRO 564/01 001/00 001. [S183] National Archives Film - Queensland BDM Indexes, Microfilm, Reg. No. 1927/C1258. [S284] Index - New South Wales BDMs online, at http://www.bdm.nsw.gov.au, Birth Reg. No. 21461/1907, daughter of Alexander A McLean and Elizabeth. [S183] National Archives Film - Queensland BDM Indexes, Microfilm, Reg. No. 1927/002158. 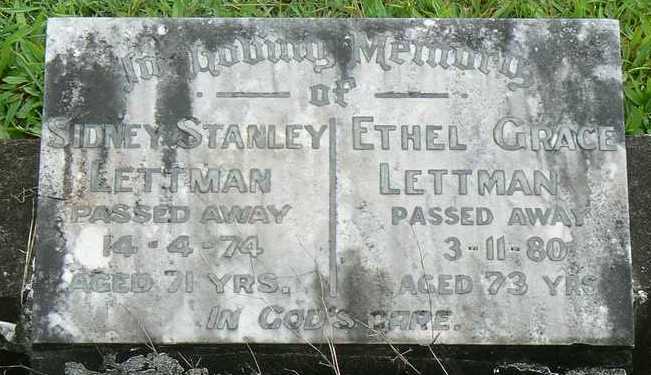 [S777] Cemetery Marker - , Yandina Cemetery, Australia. He married (--?--) (---?---) in Scotland. [S917] GRO Scotland, marriage record, District of Blythswood, Statutory Marriages, GRO 644/7 0032. [S612] GRO Scotland, birth/bapt record, District of Mearns, Statutory Births, GRO 571/00 0079. [S116] Census - 3 Apr 1881, UK Census, Scottish GRO 503/00 002/00 014. [S918] GRO Scotland, death record, District of Greenock East, Statutory Deaths, GRO 564/01 0416, aged 72.